The rain could not keep them at bay. 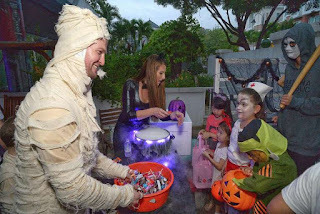 Armed with umbrellas and pitchforks, witches' hats and masks, costumed revellers descended upon the Woodgrove landed estate last night for some Halloween trick-or-treating - a tradition that has been going on in the estate for at least a decade. "My favourite part is the candy," said seven-year-old Soh Xuan Yi, who came dressed as a pirate. Her family and their friends had come all the way from Bukit Batok to join in the festivities. 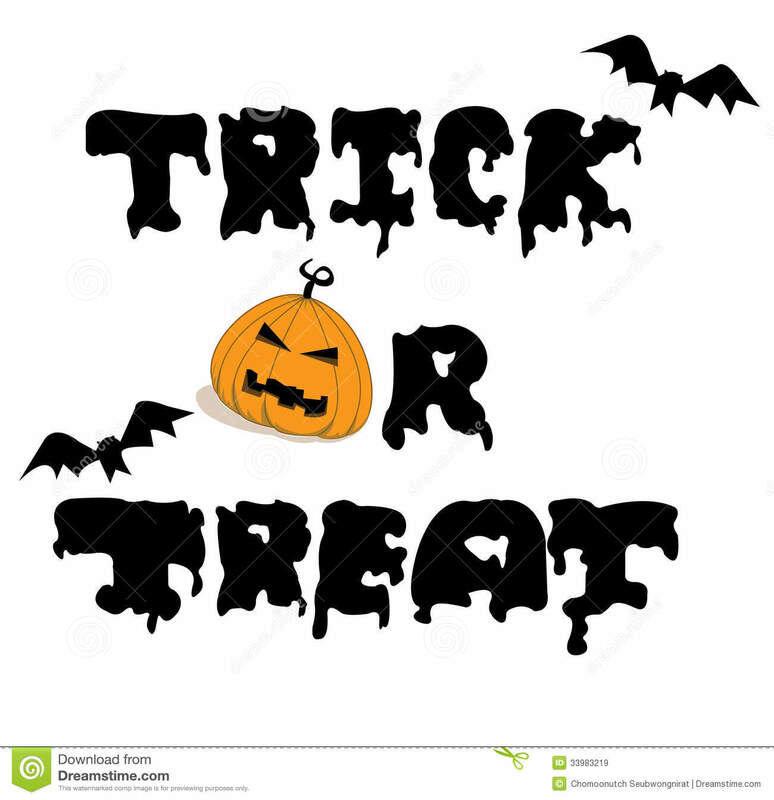 Many of those handing out treats were families from the United States, whose children attend the nearby Singapore American School. 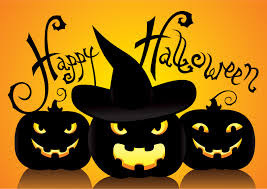 According to one view, All Hallows' Eve is a Christianized observance influenced by Celtic harvest festivals, with possible pagan roots, particularly the Gaelic festival Samhain. 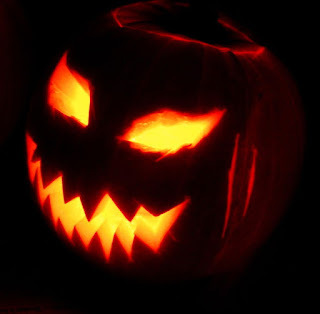 Other scholars maintain that it originated independently of Samhain and has solely Christian roots. EVERY once in awhile a piece of news from the little red dot goes worldwide. And in the case of the City Harvest Church verdict, why not? It’s a tale of religion, ambition, and intrigue, complete with millions in squirrelled away cash and a Hollywood popstar wannabe. Yesterday’s verdict was reported in at least 10 news outlets from around the world, including Indonesia, Hong Kong, Malaysia, Australia and even as far as the US and UK. Big names like The New York Times (NYT) and The Wall Street Journal (WSJ) also ran a piece online. Both the NYT and WSJ kept their story tight by reporting the facts of the verdict and went light on background, including only why the six were being tried and the sentences they face. Bloomberg Business news wrote a skimpy piece, with only four paragraphs outlining the bare bones of the story. 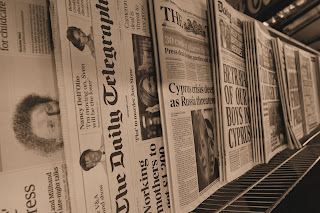 Across the Atlantic, British newspaper The Guardian, like the NYT and WSJ, also reported the verdict matter-of-factly. The Telegraph though, was more colourful. It included a screenshot of Ms Sun Ho’s China Wine music video, describing it “sexually-charged lyrics in skimpily-clad outfits in series of glitzy music videos”. All six accused of multimillion-dollar fraud in the high-profile City Harvest Church (CHC) trial were found guilty on Wednesday (Oct 21). 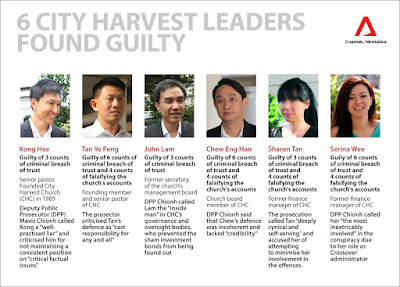 In a trial that had run since May 2013, church founder Kong Hee, former CHC fund manager Chew Eng Han, former CHC finance managers Serina Wee and Sharon Tan, deputy senior pastor Tan Ye Peng, and former CHC finance committee member John Lam were convicted of varying charges of criminal breach of trust and falsifying accounts. 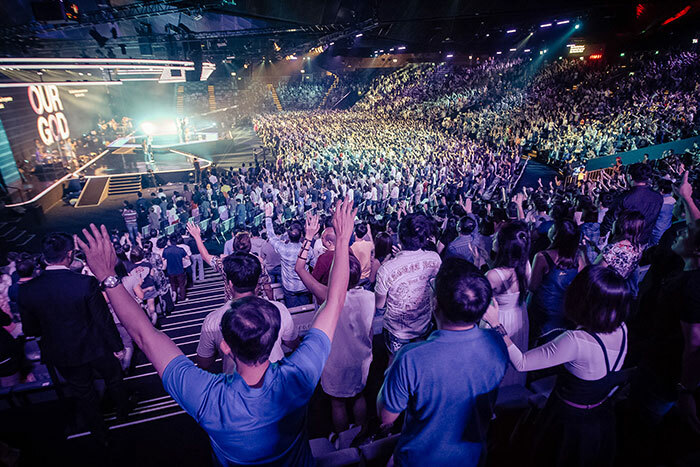 New York Times: "Singapore Megachurch Founder Is Convicted of Fraud"
The City Harvest megachurch scandal is the biggest corruption case squeaky-clean Singapore has seen in years. From racy music videos to a convoluted money trail, the case has riveted Singaporeans. City Harvest Church was founded by the charismatic pastor Kong Hee and his wife, pastor turned pop singer Sun Ho, in 1989. Known for its slick image and wealth-focused brand of Christianity, it has grown rapidly and is now estimated to have some 30,000 members in Singapore and elsewhere. But on Wednesday, Kong and five other church leaders were convicted of fraud, in a case worth $50m Singapore dollars ($35m; £23m). The pastor of a Singapore megachurch was convicted of fraud on Wednesday, with a judge finding that he had used millions in church funds to promote his wife’s career in pop music. The pastor, Kong Hee, of City Harvest Church, and five other church officials were convicted of charges related to the misuse of $36 million to support the career of Mr. Kong’s wife, Ho Yeow Sun, a singer also known as Sun Ho. The six church leaders were indicted in 2012, and their 140-day trial has been followed closely in Singapore, which is known for aggressively prosecuting corruption cases. Mr. Kong and the other leaders, who were convicted of varying counts of criminal breach of trust, face up to 20 years in prison. No date has been set for their sentencing. The founder of a popular evangelist church here was found guilty Wednesday of misappropriating $35.9 million in church funds to promote his wife’s singing career in the U.S. and Asia. The case is a rare example of financial prosecution in a city state reputed to be among the world’s most corruption-free and rule-abiding countries. A Singapore court ruled that Kong Hee, the founder and a senior pastor at City Harvest Church, was guilty of a criminal breach of trust. A judge found that he used funds—50.6 million Singaporean dollars—meant for church building and investments to help his wife, Ho Yeow Sun, to promote her album and falsify church records to cover up the initial misappropriation. The founder of Singapore’s City Harvest Church was convicted for his role in misusing S$50 million ($36 million) of church funds for his wife’s pop music career. His bail was set at S$1 million. Prosecutors had accused Kong, 51, and five others of conspiring to misuse the funds and using sham bond deals in the city’s largest graft case involving a charity. All were found guilty in court on Wednesday. The church, which has seen the number of its followers dwindle by about a quarter since the probe started in 2010, has said it stands by the six. Leaders of a Christian church in Singapore who misappropriated £23m of church funds in a failed attempt to turn the pastor’s wife into a global pop star to attract more followers have been convicted of fraud after a two-year trial. The charismatic pastor Kong Hee and five aides spent some of the money on glitzy music videos featuring scantily clad dancers to support his wife Sun Ho’s singing career in Asia and try to crack the US market. Kong and Ho founded the City Harvest church (CHC) in 1989. Ho was marketed as “the singing pastor” in Asia, and released several singles. She worked on an album with the rapper Wyclef Jean and appeared in a 2007 music video with him, but international success eluded her, the court heard. Six leaders of a Singaporean “mega-church” have been convicted of a $36 million (£23 million) fraud after diverting the donations of disciples into a failed project to turn a pastor’s wife called Ho into a global rap music star. Kong Hee, the founder and chief pastor, and five aides failed to persuade the judge that the scheme was a legitimate use of church funds to spread God’s word to the secular world by helping his wife break into US music market. Sun Ho, 43, who performed under the stage name ‘SUN aka Geisha’, singing sexually-charged lyrics in skimpily-clad outfits in series of glitzy music videos, was not accused of any wrongdoing in the venture. Six leaders of a huge Singaporean church have been convicted of fraud in a case worth S$50m ($35m; £23m). The judge ruled City Harvest Church's pastor, Kong Hee, and others used church finances to fund the music career of his wife, Sun Ho, or falsified accounts to cover it up. The defendants had argued Ms Ho's pop music career was a way of reaching out to non-Christians. The co-founder of a Singapore church and five other leaders have been convicted of multimillion-dollar fraud for diverting money to support his wife's pop singing career, a rare fall from grace in the tightly regulated city-state. Senior pastor Kong Hee heads City Harvest Church, one of a growing number of Singapore's megachurches preaching "prosperity gospel" that blends spiritual and material aspirations. Six religious leaders in Singapore who used $50 million in church funds in a failed bid to turn the pastor's glamorous wife into a global pop star have been convicted of fraud. After a two-year trial that captivated Singapore with tales of lavish spending and financial deceit, pastor Kong Hee and five aides were found guilty of diverting $Sg24 million ($24 million) to finance his wife Sun Ho's music career, which was portrayed as a religious mission. The six were also found guilty of misappropriating another $Sg26m from City Harvest Church to cover their tracks, prosecutors said. Six leaders of a Singaporean "mega-church" have been convicted of a $36million fraud after diverting donations into a failed project to turn a pastor's wife into a global rap music star. Kong Hee, the founder and chief pastor of the City Harvest Church, and five aides failed to persuade the judge that the scheme was a legitimate use of church funds to spread God's word by helping his wife Ho crack the US music market. The racy details of the two-year trial captivated the city state, which is famously law-abiding and where corruption is rare. Kong and five aides were convicted of stealing $17m by using fake bond investments to mask the spending on Ms Ho's career. The court also found that they used a further $18.5m to try to hide the first fraud from auditors. The co-founder of a Singapore church and five other leaders were convicted of multi-million dollar fraud on Wednesday for diverting money to support his wife’s pop singing career, a rare fall from grace in the tightly regulated city-state. The mix of money, faith and scandal in the case has fascinated the public in affluent Singapore, where such cases are rare under a system with little tolerance for corruption. Six religious leaders in Singapore who used US$36 million (RM155 million) in church funds in a failed bid to turn the pastor’s glamorous wife into a global pop star were convicted on Wednesday of fraud. After a two-year trial that captivated Singapore with tales of lavish spending and financial deceit, pastor Kong Hee and five aides were found guilty of diverting Sg$24 million (RM74 million) to finance his wife Sun Ho’s music career, which was portrayed as a religious mission. 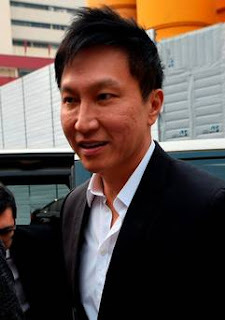 The six were also found guilty of misappropriating another Sg$26 million (RM80 million) from City Harvest Church to cover their tracks, prosecutors said. The founder of a popular Singapore church was found guilty Wednesday of misappropriating more than $35.5 million in donations to support his wife's singing career in Asia before helping her break into the U.S. market for evangelization purposes. Kong Hee, the founder and senior pastor of City Harvest Church, was found guilty with five other church leaders of stealing 24 million Singapore dollars ($17 million) designated for building and investment-related purposes through sham bond investments. The State Court also found that they used another 26 million dollars ($18.5 million) to hide the first embezzlement from auditors. It is a rare case of corruption of such magnitude in the city-state, which has an image of being highly law-abiding and largely graft-free. After a two-year trial that captivated Singapore with tales of lavish spending and financial deceit, pastor Kong Hee and five aides were found guilty Wednesday of diverting S$24 million (HK$133.8 million) to finance his wife Sun Ho’s singing career, which failed to take off. The six, who insisted the project was conceived for religious reasons, were also found guilty of misappropriating another S$26 million from the evangelical City Harvest Church (CHC) to cover their tracks, prosecutors said. Ho, 43, who appeared in a 2007 music video with rapper Wyclef Jean in an attempt to cross over from Mandarin pop and reach a wider English-language audience, was not charged. Kong Hee, the Singapore megachurch pastor found guilty of fraud after a long-running trial, broke his silence on Facebook yesterday saying it was a "difficult time" for him and his family. 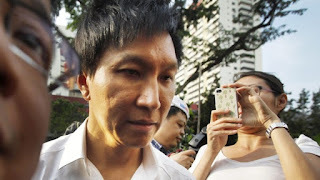 Kong, pastor of the 20,000-member City Harvest Church, was charged with three offences of criminal breach of trust in connection with attempts to boost his wife Sun Ho's singing career using church funds. He and his five co-defendants misused $17 million from the church's building fund. A further $18.5 million was used to cover up the scheme through a complicated system of bond issues and 'round-tripping' transactions in which the church used its own money to pay debt owed to it. Kong had steadfastly maintained his innocence throughout the trial, which lasted for 140 days. He won the support of many Christian leaders who believe that the case was founded on a misunderstanding. 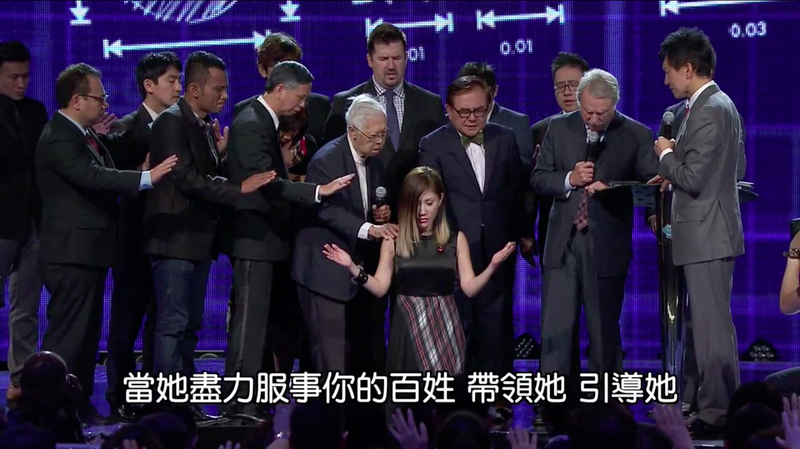 The funds were used to support Sun Ho's career through CHC's 'Crossover Project', aimed at promoting a Christian voice in the secular music industry – a mission tactic familiar in the West but far less so in the East. It's a video that could easily top the dance charts: scantily-clad Asian girls and black/Latinas face off to a funky beat, and there's a bit of a hip hop rap and expert twerking long before Miley Cyrus knew how to work it. 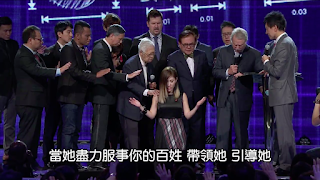 The problem is, disillusioned members and critics of Singapore's City Harvest Church find it hard to believe that this kind of music was intended to evangelize the world with the Christian gospel. The China Wine video is sung and starred by Sun Ho a.k.a. Geisha a.k.a. 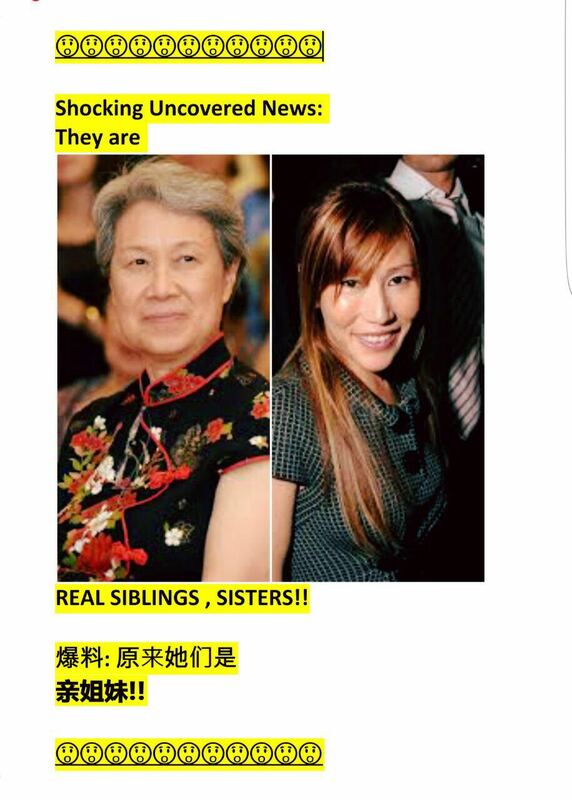 Ho Yeow Sun, co-pastor and wife of disgraced City Harvest Church founder Kong Hee, who was recently charged guilty, together with four other City Harvest Church leaders and former member Chew Eng Han, for misappropriating S$24 million of church funds. The money went to support Ho's music career, the Straits Times reports. Travel expenditure that ran into the hundreds of thousands. 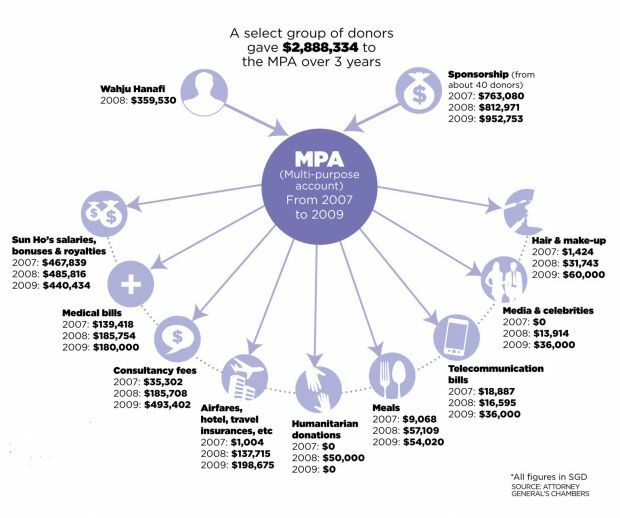 Hair, make-up and medical costs that hit more than $100,000. This past weekend was an important one for City Harvest Church. Last Wednesday, all six parties involved in the trial were found guilty of all charges. Sentencing will take place on Nov 20. There were few dry eyes in the auditorium as the people stood to their feet, cheering and applauding Kong, rendering their support and love to their senior pastor. As some of you might have learned, following the City Harvest Church six’s guilty verdict last week, church founder Kong Hee’s wife Sun Ho has been ordained as church pastor in the wake of the high-publicity trial. All six City Harvest Church (CHC) leaders facing charges including criminal breach of trust and falsification of accounts were found guilty on all counts on Wednesday (Oct 21). Following the judgment, the church said all six are now taking legal advice, with some of their lawyers suggesting their clients may appeal the sentence. All have been released on bail of between S$750,000 and S$1 million, though overseas travel is not permitted. Sentencing will take place at a later date, with the court due to hear submissions from defence and prosecution lawyers from Nov 6 to 20. Most costly criminal trial in S'pore? City Harvest trial: Most costly criminal trial in Singapore? It works by blocking the cancer cells from growing and – ultimately – spreading. The paper concludes: ‘Ginger inhibits growth and modulates secretion of angiogenic factors in ovarian cancer cells. 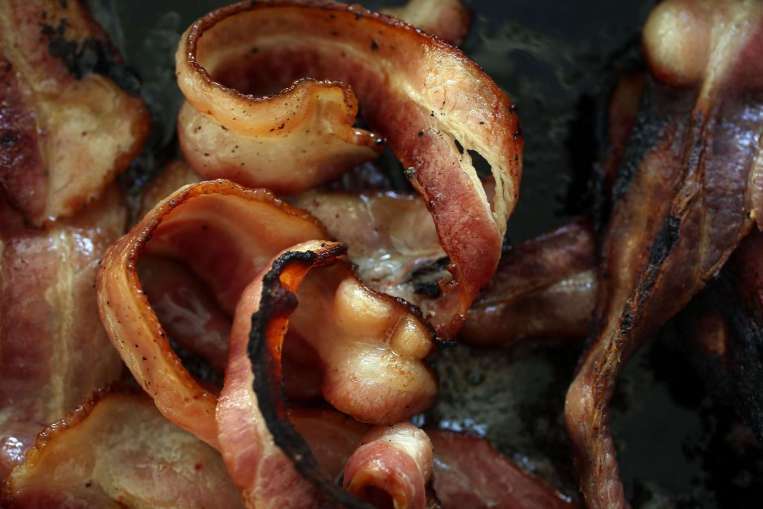 The World Health Organisation (WHO) released a report Monday which placed processed meats, including bacon and sausages, in the same category as smoking and asbestos for causing cancer. 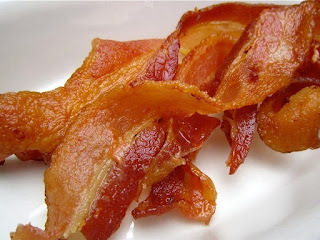 The report revealed that as little as two slices of bacon can increase the risk of colorectal (bowel) cancer by 18%. If the meat eaters among us choked on their sausages as they read the report over breakfast, the vegetarian reaction - at least on Twitter - was a little more smug. 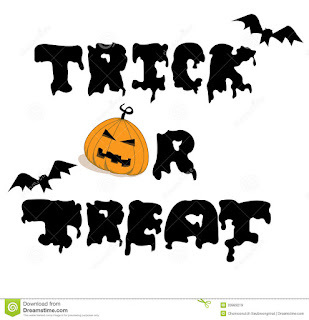 Eat as little bacon, ham and other processed meat as possible, and observe general guidelines for healthy living that include not smoking, exercising and eating more fruits and vegetables. This was the advice of experts in Singapore, in the wake of a World Health Organization agency saying on Monday (Oct 26) that processed meat causes colorectal cancer. 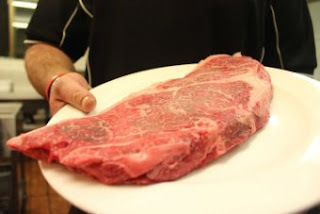 The 22 experts from the International Agency for Research on Cancer (IARC) also said red meat probably causes cancer. The agency reviewed over 800 studies before concluding that each 50-gram portion of processed meat eaten daily increases the risk of colorectal cancer by 18 per cent. 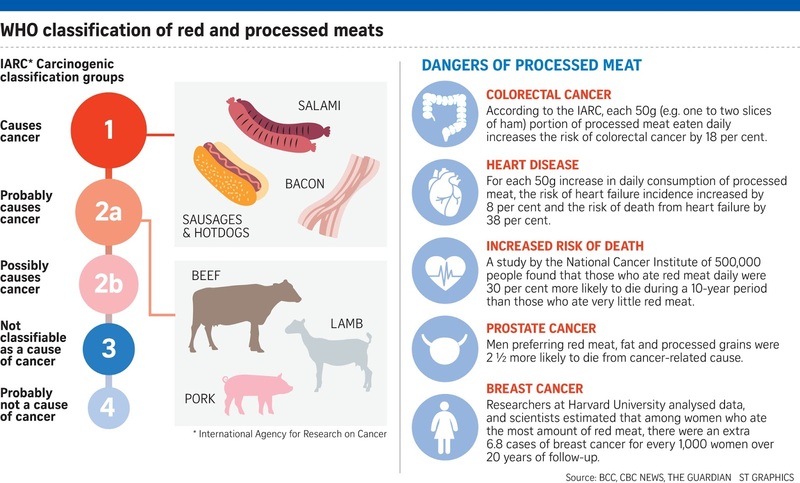 The evidence showing that red meat — which includes beef, pork and mutton — causes colorectal cancer is limited, but red meat has also been linked to pancreatic cancer and prostate cancer. 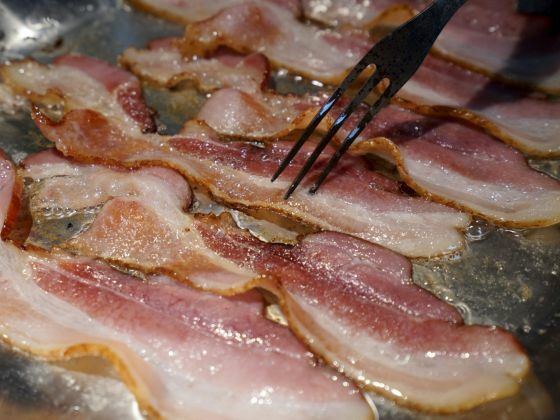 Wolfing down a slice of bacon once in a while is not going to cause any lasting damage, local doctors said on Wednesday (Oct 28) in response to the World Health Organisation's (WHO) latest report that processed meats could raise the risk of colon cancer. 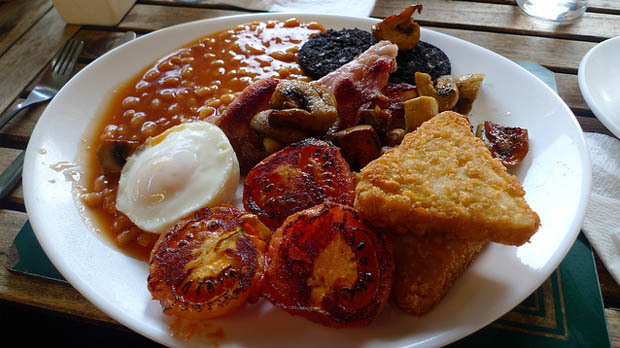 "Eating a bacon bap every once in a while isn't going to do much harm - having a healthy diet is all about moderation"
Dr Teresa Norat, one of the advisors to the WHO report and from Imperial College London, said there were many factors causing bowel cancer. She told BBC News website: "People should limit consumption of red meat and avoid consuming processed meat, but they should also have a diet rich in fibre, from fruit and vegetables and maintain an adequate body weight throughout life and limit the consumption of alcohol and be physically active." Related: If meat causes cancer, what can you eat? 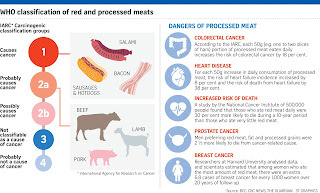 Processed meats like bacon, sausages and hot dogs can cause colon cancer and red meat is also a likely cause of the disease, World Health Organisation experts say, in a potentially heavy blow for the global meat industry. Analysis of 800 studies worldwide found evidence "consumption of processed meat causes colorectal cancer"
The analysis of 800 studies from around the world by the International Agency for Research on Cancer (IARC) found "sufficient evidence in humans that the consumption of processed meat causes colorectal cancer". "Each 50-gram portion of processed meat eaten daily increases the risk of colorectal cancer by 18 per cent," it said in a statement. 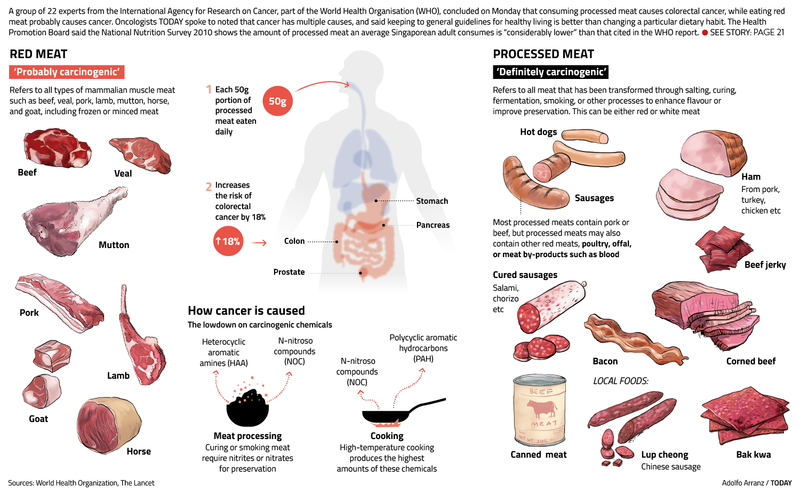 The report from the WHO’s International Agency for Research on Cancer said there was enough evidence to rank processed meats as group 1 carcinogens because of a causal link with bowel cancer. It places red meat in group 2A, as “probably carcinogenic to humans”. 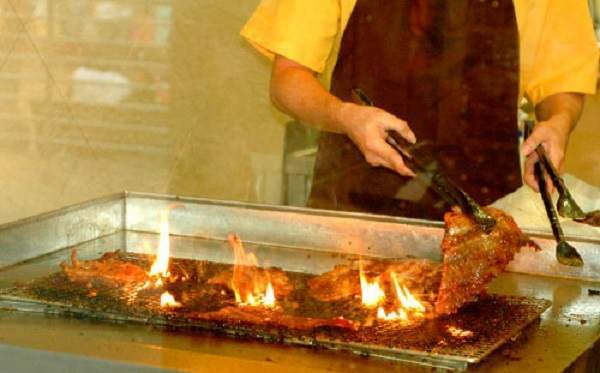 Eating red meat is also linked to pancreatic and prostate cancer, the IARC says. You’ve probably seen today's headlines, about the fact that processed meat has been classified as a ‘definite’ cause of cancer. And red meat is a ‘probable’ cause. 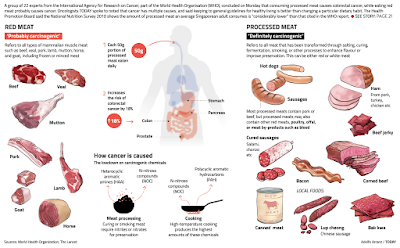 The France-based International Agency for Research on Cancer (IARC), part of the WHO, put processed meat such as hot dogs and ham in its group 1 list, which already includes tobacco, asbestos and diesel fumes, for which there is "sufficient evidence" of cancer links. 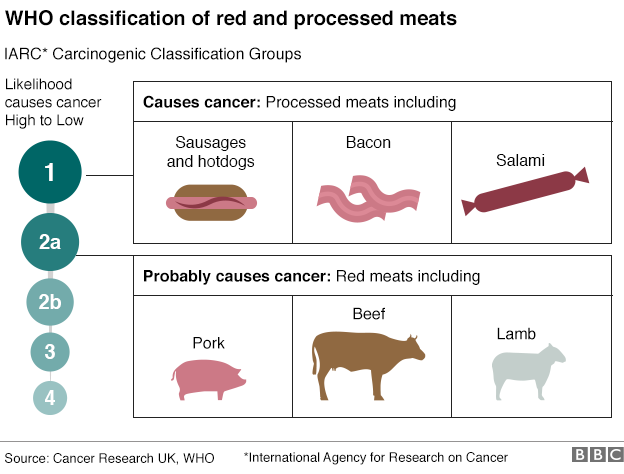 The UN's International Agency for Research on Cancer (IARC) has warned that processed meats like sausages and ham cause bowel cancer, and red meat "probably" does too. Does this mean we should stop eating meat? By the IARC's own account, meat has "known health benefits". And the agency says it does not know what a safe meat quota would be — or even if there is one. Other specialists insist the report is no reason to drop steak from the menu, though it is probably wise for big eaters of it to cut back. WHO report on meat – farce or serious stuff? And governments too, particularly those among the top meat exporters such as Australia, have dissed the report. 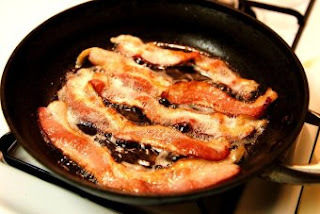 Processed meats - such as bacon, sausages and ham - do cause cancer, according to the World Health Organization (WHO). Its report said 50g of processed meat a day - less than two slices of bacon - increased the chance of developing colorectal cancer by 18%. Meanwhile, it said red meats were "probably carcinogenic" but there was limited evidence. The WHO did stress that meat also had health benefits. Cancer Research UK said this was a reason to cut down rather than give up red and processed meats. And added that an occasional bacon sandwich would do little harm. What is processed meat? 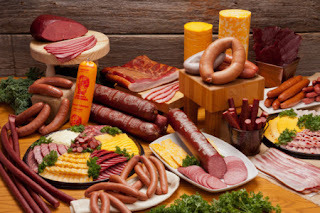 Processed meat has been modified to either extend its shelf life or change the taste and the main methods are smoking, curing, or adding salt or preservatives. Simply putting beef through a mincer does not mean the resulting mince is "processed" unless it is modified further. Processed meat includes bacon, sausages, hot dogs, salami, corned beef, beef jerky and ham as well as canned meat and meat-based sauces. 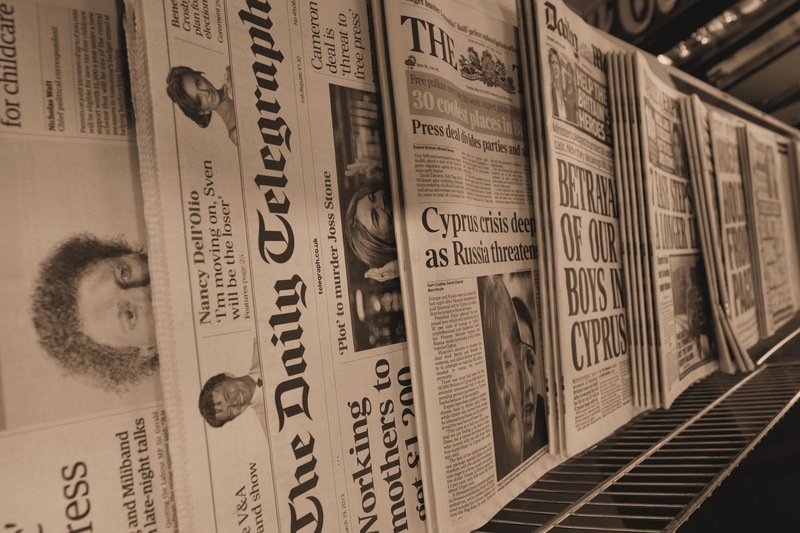 Your Facebook feed today (Oct. 27) is probably filled with news articles on the recent World Health Organisation’s (WHO) International Agency for Research on Cancer (IARC) report that said processed meats causes cancer and red meat has some probable link to causing cancer. 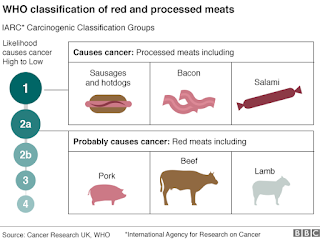 News reports have focused on the classifying of processed meats as a Group 1 “carcinogenic to humans” agent while red meat is a Group 2 “probably carcinogenic to humans” agent. 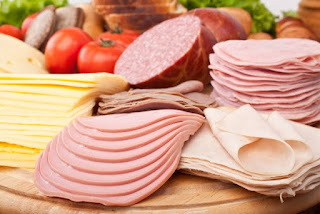 Lunch meat tends to be a favorite food, especially among the younger crowds out there. Unfortunately, food items such as ham, turkey, bacon, sausage, and even hot dogs, are loaded with chemical preservatives to help the meat appear fresh and healthy. These preservatives can cause cancer within the human body, though. Both sodium nitrate and sodium nitrite have been known to increase the chances of contracting colon and other forms of cancer. Choosing uncured meat products made without the use of either preservative, and preferably grass-fed sources, is the best option for avoiding this issue altogether. However, even eating processed meats in moderation can be fine. For those that eat it regularly, though, it may be time to switch to something on the healthier side of the spectrum in the near future. Be sure to check the labels on the meat you purchase within the store, or ask an associate at said store before buying. I was happily munching away on steaks and the best prime cuts I could get from Japan when the World Health Organisation (WHO) dropped the bombshell that we should say no to red meat, sausages, etc. 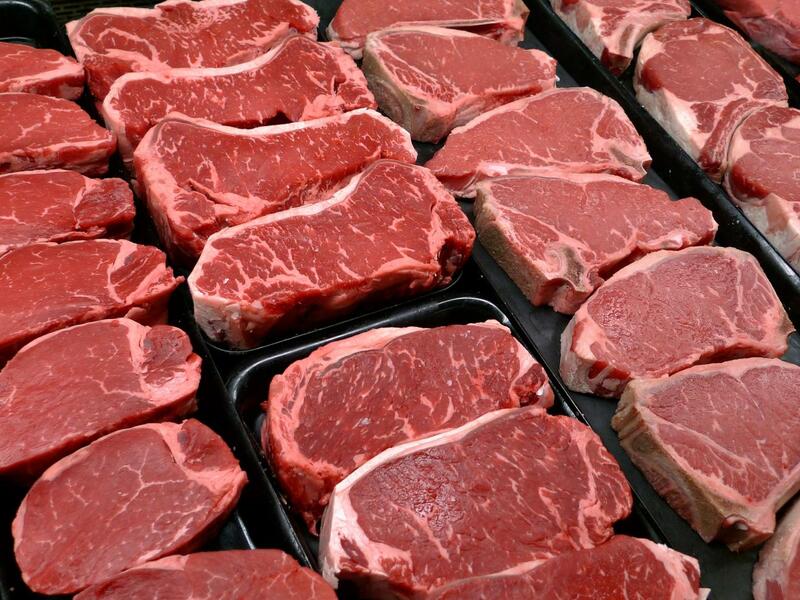 The WHO announced that meat, especially the red variety, is linked to cancer of the bowel and colon. What do we do now? In the wake of the WHO report, media health commentators have said we have to change our lifestyles. Hot dogs and bacon cooking in a frying pan. 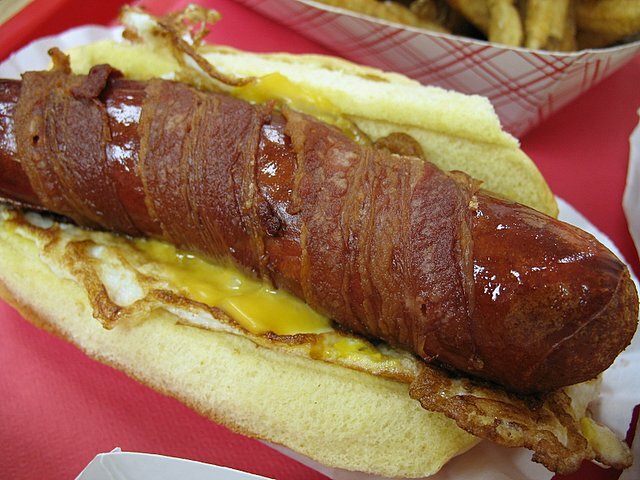 They are classified as processed meat, which the World Health Organisation has said is linked to colon cancer. What exactly can be defined as processed meat? Is there a prescribed limit to eating processed meat? How has this affected the global meat industry? Haze: Offer of 1 aircraft "Insulting"